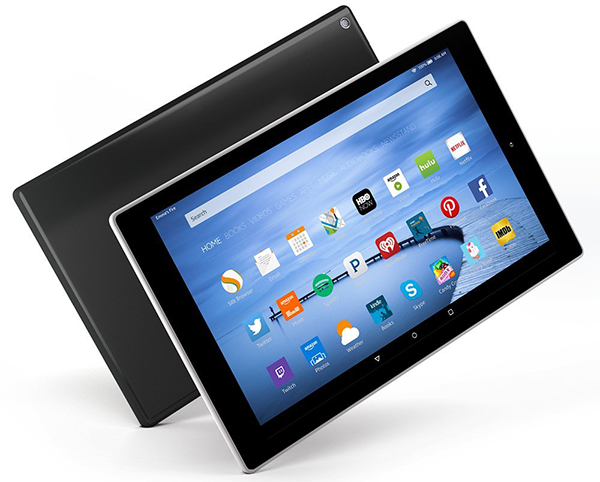 Multinational online retail-behemoth, Amazon, has just introduced a slew of new affordable tablets. The four new tablets will all fall under the existing “Fire” range of hardware and will exist as part of a focused attempt by Amazon to convince more customers into buying into the ecosystem that it has worked so hard to build through the offering of services like Amazon Prime and the Amazon Appstore. 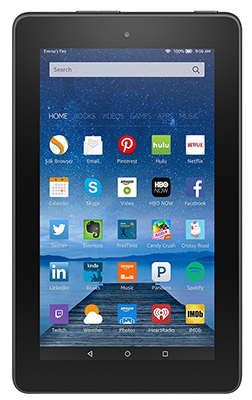 First and foremost we have the new Amazon Fire HD 10 and HD 8 flagship models. As the names might immediately suggest, the two new higher-end models come with 10.1-inch and 8-inch displays respectively. Both new tablets are built to offer a premium feel with a metal rear casing. 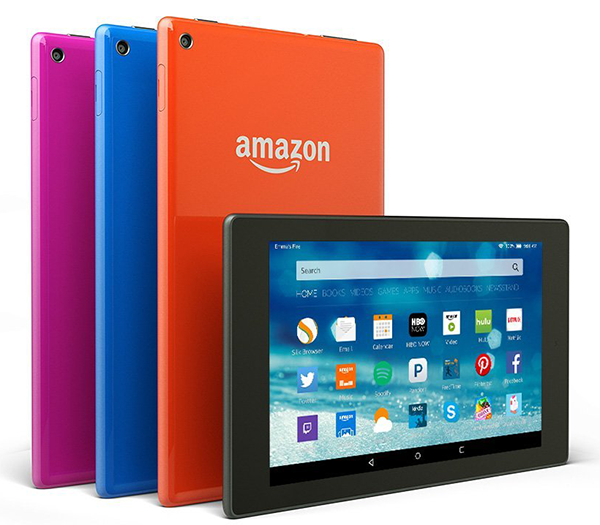 The smaller Fire HD 8 differentiates itself from the larger model by being offered in a variety of appealing colors which should appeal to all tastes. Both of the flagship models will come with a quad-core 1.5GHz processor under-the-hood. Both will also ship with stereo speakers, virtual surround sound via the integrated headphone jack, and have a microSD card slot for expandable storage. The Fire HD 10 will come equipped with a pre-installed 16GB of memory, whereas the smaller Fire HD 8 will offer half of that with reasonable 8GB. The similarities between the two continue with an improved home screen user-interface thanks to Fire OS 5, Amazon’s latest Fire OS update built on a fork of the Android operating system. The HD 8 will sell for $150, while the larger HD 10 will be priced at $230. There’s also a new 7-inch Fire tablet that ships with a thicker IPS display and a slightly slower 1.3GHz quad-core processor. The processing power of the new Fire tablet will be accompanied by 1GB of RAM. The specification doesn’t exactly sound mind-boggling, but the price is. 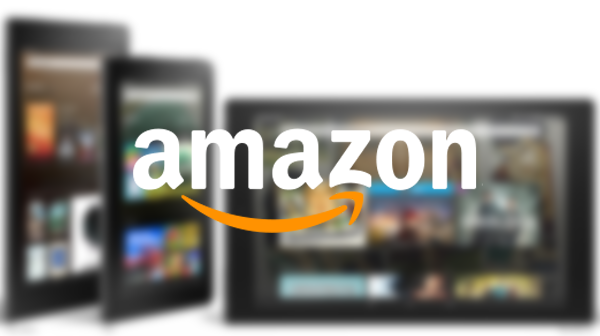 Amazon will be pricing the tablet at just $50. 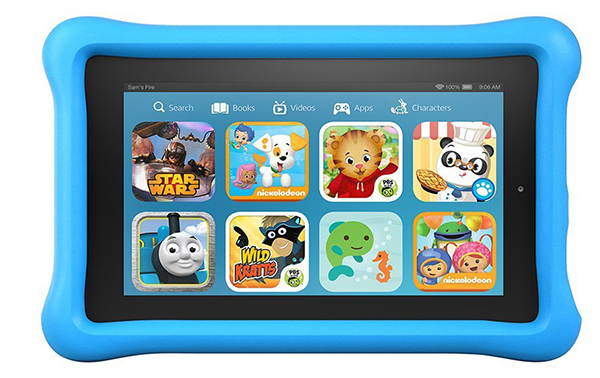 There’s also a a new Fire Kids Edition tablet which will retail for $99. This product is essentially the same offering as the Fire tablet, but with the addition of a kid-friendly protective case that seemingly adds $49 to the price-tag. Amazon is also throwing in a “no worry” two year guarantee that essentially allows parents to get a replacement device when their kids break it. The pricing point of the new Fire tablet is appealing enough for those looking for a capable entry-level slate. With that said, Amazon has also taken things to a new level by recognizing that consumers may want to take advantage of the fact that the hardware is so cheap by potentially having a device for each room. To that end, the company is offering a multi-pack purchase offering that lets consumers purchase six tablets for $250, essentially get one free as part of the promotion. All four tablets are available for pre-ordering right now at Amazon, with shipments to begin September 30th.